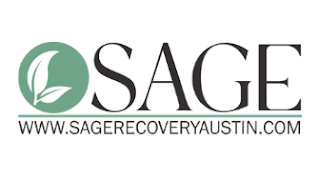 Here at Sage Recovery, we offer a variety of wellness and therapeutic services including residential treatment, intensive outpatient treatment, psychiatric medication management, individual, couples, family and group counseling for children, adults and adolescents. We set ourselves apart by offering a holistic approach to treatment and a modern spa-like therapeutic space for everyone to feel at home. We believe treatment is more than learning to change unwanted or unhealthy behaviors. Long-term change comes from treating the mind and body collectively. We integrate traditional mental health treatment, with a complete wellness program. Specialized Intensive Outpatient Programs (IOP): In addition to our Dual Diagnosis and substance abuse IOP tracks, we also have a Mental Health IOP for those that need a higher level of care for their depression, anxiety, mood disorders, emotion regulation, etc. We offer IOP groups for both adults and adolescents. Non-12-Step Options: We recognize the fact that 12-step programs may not be the fit for all. If a 12-step program isn’t right for your needs, we provide an alternative, holistic treatment allowing you to feel most comfortable. Dual Diagnosis: When a client is diagnosed with both a substance use disorder and another mental health issue, the terms dual diagnosis or co-occurring disorders can be used. Individuals who are living with co-occurring disorders face a specific set of challenges that require specialized treatment to address both issues concurrently. At Sage Recovery & Wellness Center, all of our clinical staff specialize in the treatment of both substance use and mental health, and our programming is designed to meet the needs of both substance use and mental health struggles. Wellness Groups: Clients engaged in IOP services also attend a variety of wellness groups such as yoga therapy, acudetox and qigong. These wellness groups are also open to all clients and the community. Assessments: Clients interested in services will be provided a complimentary assessment to determine what level of care would best meet their unique needs. Clients can take part in one or all of the services we offer at our center. Highly Experienced Clinicians: All of our therapists are master level clinicians or higher and specialize in both mental health and substance abuse. They are also diverse in the populations they serve to ensure that our clients are receiving the quality and specialty treatment that they deserve. Research-Based Treatment: Our programs and services are modeled after research-based treatment to ensure that we are providing the most current and effective methods. Case Management: We help our clients and their families connect to community resources that will assist them in the healing process. We assist each client in developing a comprehensive plan when they discharge from our care to ensure that they leave with the tools necessary to be successful with their identified goals. Quality Of Care: Our therapy groups sizes are kept small, between 6 to 8 members, to ensure the highest quality of care for each of our clients. Our team is here to help you restore peace and maintain a life of health and balance. Contact us for an assessment with a Master’s level clinician to create a road map to wellness. By digging deeper, we can get to the crux of the problem, instead of putting a bandage over problematic symptoms. All of our therapists are Master level clinicians who specialize in the treatment of both substance use and mental health. Our therapists have a wide range of clinical experience, each with their own areas of expertise and treatment specialties, ensuring that our clients are receiving the highest quality, individualized treatment. Our residential treatment center is the home to 15 clients at a time, so our staff personally know each client and are able to fully commit themselves to the development and wellness of the clients. Moving beyond the clinical staff, every member of the Sage team, from the chefs to the behavioral health technicians, are trained in providing trauma-informed services and have a fundamental understanding of mental health and substance use disorders, so that clients are in the hands of well-informed and passionate professionals for the entirety of their stay.